In the present investigation, studies were carried out to examine the effect of a vegetable-protein diet as compared to an animal-protein diet on standard clinical and laboratory parameters in 3 patients with chronic hepatic encephalopathy. To evaluate more objectively the effects of vegetable or animal protein diets, an hepatic encephalopathy index was developed, and this included the following parameters: fetor hepaticus, asterixis, stage of hepatic coma (Parson-Smith), arterial ammonia levels, EEG, Reitan trail test, and any reduction or improvement in dietary protein tolerance. In controlled, randomized, single-blind trials, it was found that a vegetable-protein diet resulted in overall clinical improvement, decreased hepatic encephalopathy index scores, decreased arterial ammonia levels, improved performance on intellectual tasks, and in one case, markedly improved protein tolerance. Further, the beneficial effects of a vegetable-protein diet were enhanced by the use of the synthetic disaccharide, lactulose. These studies do not provide a clear-cut definition of the mechanism for the observed beneficial effects of vegetable protein in chronic hepatic encephalopathy. 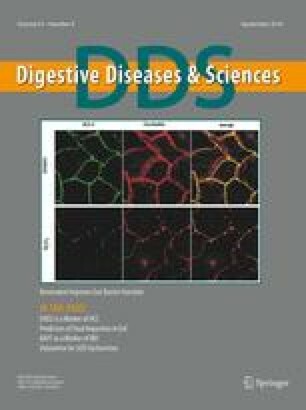 However, the most plausible explanation is that vegetable-protein diets contain lower amounts of certain amino acids and other putative materials which may be important in the pathogenesis of hepatic encephalopathy. Supported in part by grants from the National Institutes of Health (RR-828) and Merrell National Laboratories. Presented in part at the 26th Annual Meeting of the American Association for the Advancement of Liver Disease, Chicago, Illinois, November, 1975.